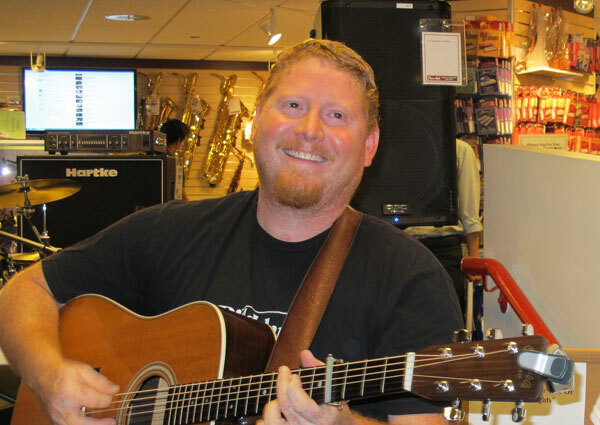 BBE endorsees Nu-Blu recently stopped by Sam Ash Music to perform and meet fans. 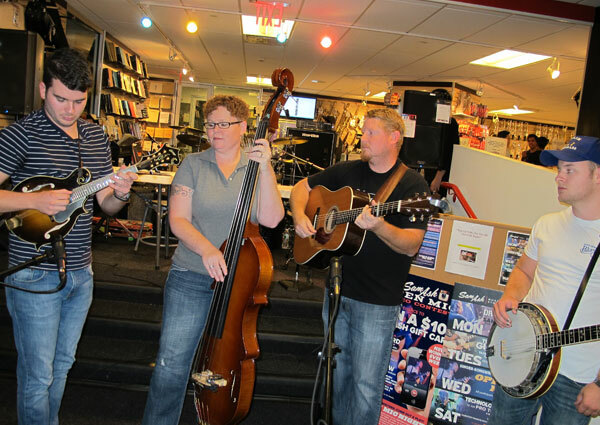 We were there to capture a few photos and even recorded this short video clip of the talented group in action. 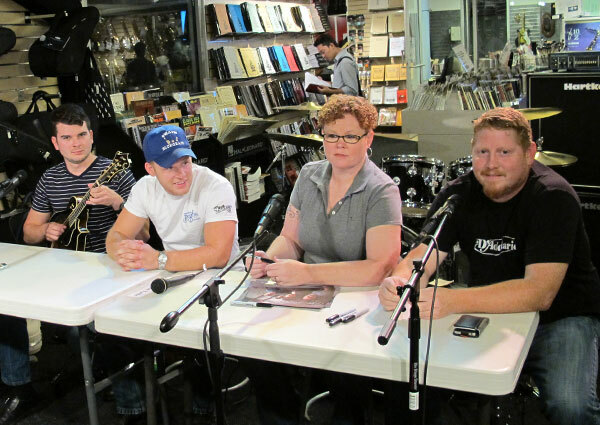 Through the years, Nu-Blu has worked hard to develop a group that would give the listener a diverse experience. 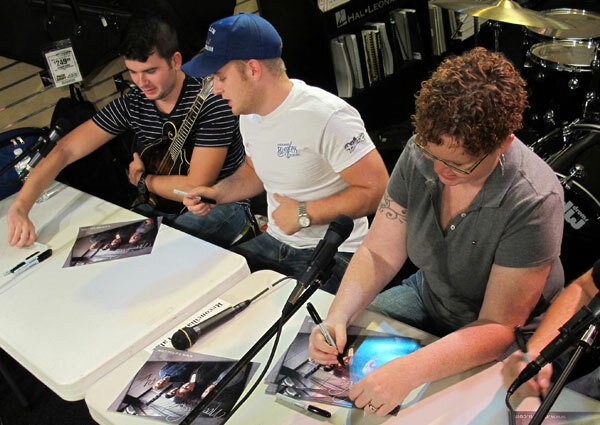 By mixing their original songs along with traditional material, and even incorporating songs from other genres, the group has certainly created a unique and driving blend of music that keeps audiences coming back for more. Nu-Blu was founded by husband and wife team, Carolyn and Daniel Routh. Carolyn, on bass, provides her trademark lead vocals with impressive clarity and vocal range and Daniel, on guitar, brings his songwriting and vocal talents to the group. 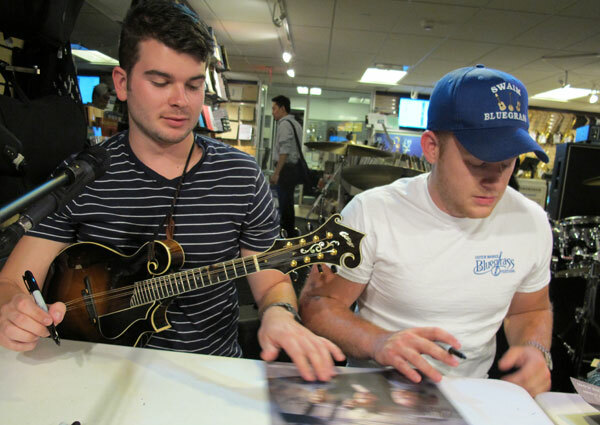 The two young guns, Levi Austin (banjo and vocals) and Austin Koener (mandolin) fill out the ranks providing the band with a solid and talented backbone. 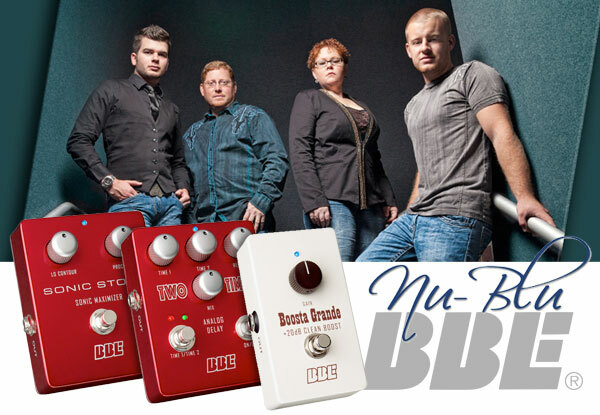 We are thrilled to have Nu-Blu as part of the BBE family. The group is currently using the BBE Sonic Stomp™, Two Timer™ delay and Boosta Grande!™ clean boost. 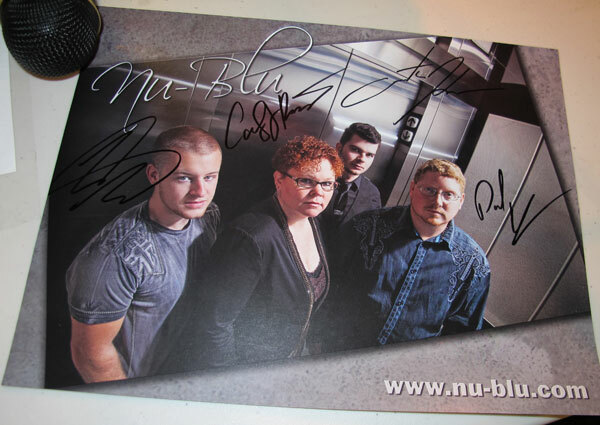 Find out more about Nu-Blu at www.nu-blu.com.